Grout Cleaning Company Wellington | Tile Cleaning Service | Grout Plus Inc.
Hard surface floors are enjoying a greater popularity. It is hard to ignore the aesthetic appeal of tile floors. Many people want to install tile or Mexican tile on floors, counters, walls and other surfaces. 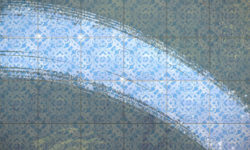 When you have tile in your home or business, there will be grout installed as well. Cleaning the porous material known as grout is necessary to eliminate mold, mildew and all types of bacteria. 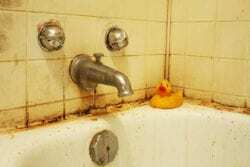 Do you need a grout cleaning company in Wellington, FL? 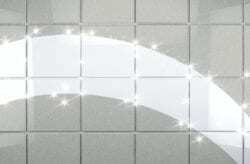 Grout Plus Inc. has the most reliable and trusted grout cleaning service in Wellington and surrounding areas. We use our own proprietary product that is not sold in stores, to permanently re-color and protect the grouting lines in your tile floors. It has a ten-year guarantee on the effectiveness. By applying our product, your tile floors will be enhanced. The product will also assist the surface to better resist stains. Treating a floor with Grout Plus Inc. makes cleanup easier. Grout is a very porous material that becomes a breeding ground for mold, mildew and all types of bacteria. We use our own proprietary, cutting-edge product that is not sold in stores, to permanently protect the join lines in your tile floors. It has been time-tested for over ten years. Our renew process is suitable for residential and for commercial customers. In addition to restoring tile floors, we offer other services and products. Bathrooms are a challenge to keep clean and free of dirt and grime along the lines. The warm and moist air in most bathrooms fosters the growth of mold and various other organisms. If you have spent countless hours scrubbing your shower or bathtub but it doesn’t look or feel clean, we offer high-quality bathroom tile and grouting cleaning services. We also clean and steam clean your shower, undoing years of unavoidable buildup. While most people like the clean, crisp look of grouting lines, keeping them in pristine condition requires a lot of effort. Over-the-counter products may be unpleasant to smell and dangerous to use without the appropriate protection of your skin and airways. We use our highly recommended products and do the hard work for you. The process is effective and lasts for years of use. Not only will the result live up to its promises, but it will also reduce the time of cleaning for the foreseeable future. 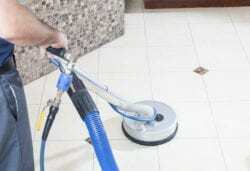 Tile cleaning service in Wellington, FL is needed for safety and aesthetic reasons. More information is available when you call (561) 753-7090 today for a free estimate!